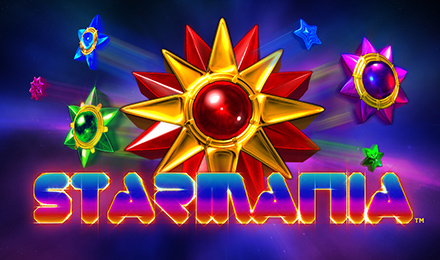 Starmania by Next Gen Gaming allows you to plunge yourself into a world full of stars and rewards! Enjoy the different bonus rounds to add on to your excitement. Bolt through the sky and find a galaxy full of fortunes waiting for you. The 5 reels and 10 payline slot is a vibrantly coloured game with wins that pay both ways, stacked wilds and Free Games. On Starmania, big wins are never too far away as you can easily strike a winning combination with an RTP of 97.86%. Since your fortune is written on the stars, collect wild symbols and earn mega winning combinations. The Bonus Symbol in the game serves two purposes that is: multipliers when appearing anywhere on the reels. And when 3 symbols land on reels 2, 3 and 4 will trigger the Free Games feature.